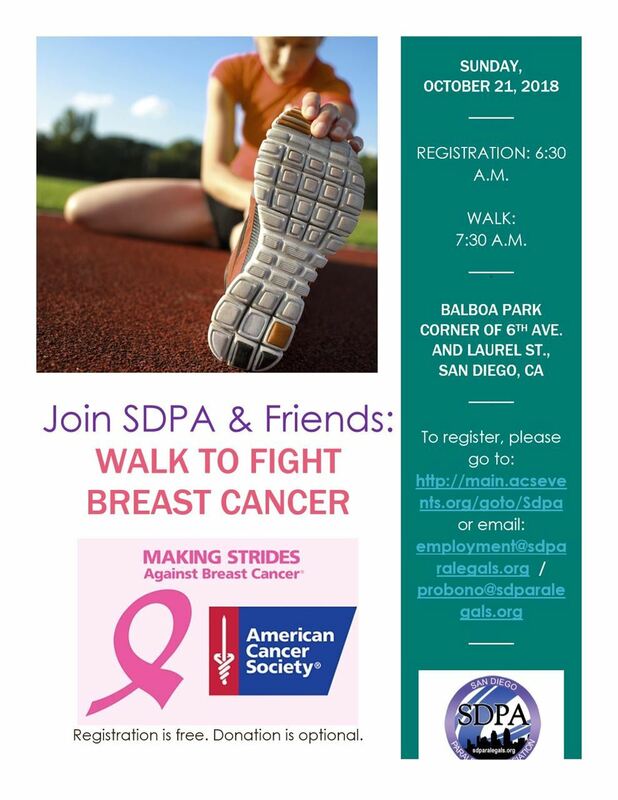 Join SDPA and friends at the American Cancer Society's Making Strides Against Breast Cancer Walk! This is a great opportunity to socialize, relax, and do something active while serving a great cause. To register, please go to: SDPA Team for Breast Cancer Walk. Participation is free.